Combine rub ingredients; press evenly onto steaks. Place steaks on grid over medium, ash-covered coals. Grill, uncovered, 11 to 14 minutes for medium rare to medium doneness, turning occasionally. 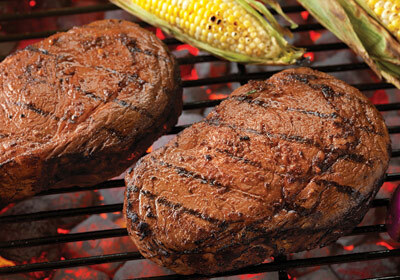 Serve steak with grilled vegetables.